There are affiliate links in this post. If you click on one of these links and make a subsequent purchase I may receive a small commission. Thank you for supporting Townsend House! Planning your homeschool weeks is the next step in our planning process. The one big caveat is that you do not plan all of your homeschool weeks out before the year even begins. You can have ideas and notes, and dates you want to accomplish larger projects/books etc. But, if you try to map out your entire year in specific weeks you will be disappointed. No matter how much margin you are able to factor into your homeschool weeks, there will be unexpected things that come up. And when those unexpected things come up, your schedule will shift. Once you have an idea of where you want to end up on the other side of the year, you are able to purchase your curricula and make the main decisions on when and how you are going to get to that other side. Most curricula will come with a set schedule – and if you are great at following schedules, by all means you can use this. However, I am not so great at following a schedule that is given to me. Remember, I am a rebel here. While the schedule is nice to have for reference, it does not dictate to me when and how I will teach. The real problem that I have with a set schedule for the entire year is that it doesn’t leave a whole lot of room for margin. In theory you can just push the entire schedule back a day, but when you end up flipping through so many different schedule sheets just to be able to know where you are, that wastes time, and is incredibly frustrating. The first option is to go ahead and plan out all the lessons for all the subjects that you have during the entire year, but instead of having them on a calendar, you can have them as a list. When one lesson is done, you move to the next lesson. For example, with most math curriculum, there are a set number of lessons laid out for a year. You will start with lesson one and move through each lesson until you complete the book. You can look at the total number of lessons and the number of weeks that you plan on homeschooling and you will know “I need to do 3-4 lessons each week in order to complete this math curriculum.” That gives you a little bit of wiggle room if you need to take days off for whatever reason, and also to give your kids a break from doing math every single day. This is a great option for some subjects and not so great for others. It will completely depend on your children and how motivated they are to get through specific subjects. If you want your children to read a certain number of books in a year, that is going to be something that could be difficult to plan unless you are certain how much your kids are going to be able to read in a day, and what the plan is if they decide they hate a book. Do they push through? Do you let them drop it? How many lessons should I do each day? Should I do every subject every day? What do I do if my kids still don’t understand once we have gone through the lessons for that particular item? Do I create more lessons at that point? Do we keep going? The other option is to have a broad understanding of how you want your year to go. Instead of planning out all of your lessons ahead of time, you decide to plan weekly, or a few weeks at a time. At the end of the week you are able to take a step back and evaluate how your week(s) went. Did you get everything done? Were there items you had to push back? Were you unrealistic in your goals for the week? Did you consider time away from the home for activities, sports, errands? Was there enough to do? Did the kids fly through school in an hour and have nothing left for the rest of the day? The longer you homeschool, the easier it will be to understand how much your children are capable of each week. I like the idea of a list of lesson plans for the whole year. That isn’t realistic for my family right now. We take too many rabbit trails. And I have a three year old. What if we decide to skip a book, or we want to add in something different? I would hate to make it through only half of the lessons I had pre-planned because we decided to go in a completely different direction for the year. 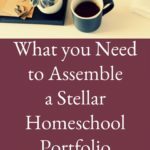 There are a lot of amazing homeschool families that use this method. If it is something that will work for you, I want you to have some resources to do it. You essentially will sit down and write out all of the lessons for the entire year, and have them on a list format. Then each day that you are doing school, you pick the next thing on the list. Pam Barnhill has a great book called Plan Your Year that will help you walk through the steps of creating a plan for your homeschool year. 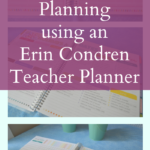 I know we are several weeks into the homeschool year already, but having resources to help you plan the rest of the year as well as beyond is important! I happen to plan this second way. Not because I like to fly by the seat of my pants. I have tried to follow a strict schedule and fail more times than not. Trying to plan our entire year is a struggle. I am too ambitious, not ambitious enough, or my kids decide to throw a wrench into my plans. Instead, I plan weekly. I make a broad overview of what I want to accomplish in the year. Each week I will write in my planner exactly what I am going to do for that week. Sunday afternoons, when everyone is resting, I am able to sit down for a few minutes and walk through what we need to do for the week. This weekly planning works for me. I am able to consider appointments for the week, places we need to be outside the home, as well as how my kids have been acting in the past few weeks. If they are really loving Ancient History, I know that I can plan a little more of that for the week. If they are completely over Mesopotamia, well perhaps we move onto something new. I also am able to look at how they are doing in the moment with reading, spelling, writing, math. What needs more time? Where are the places where the kids need a little more help during the day? 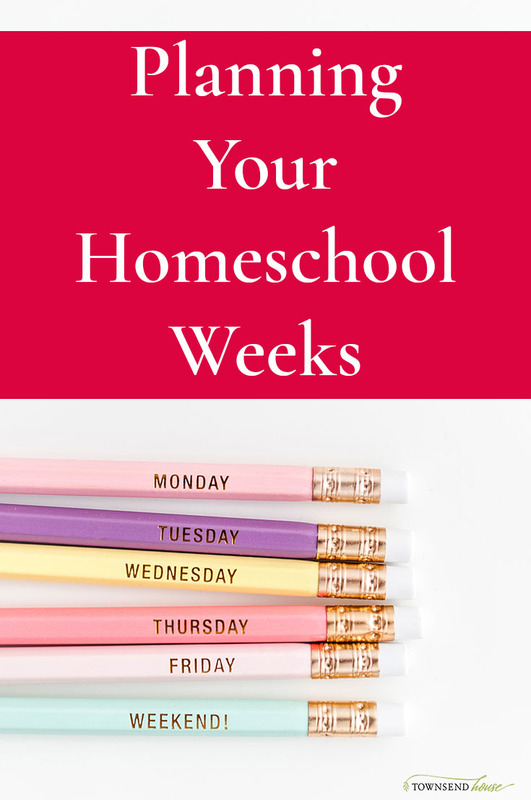 Once you figure out this general weekly planning schedule, homeschool and life move much easier. The reason is because you let go some of those expectations. Yes, you want to make sure that you cover certain areas throughout the year. Yes, you need to make sure your kids are learning math and reading and writing. But taking some of the pressure off of yourself to get all.the.things. done during 36 weeks will help. As homeschoolers, we have the unique opportunity to teach what we find most important to our kids. You don’t need to follow the schedule and scope and sequence of public school. Let go of those expectations and create your own path. Do you plan too much school for the number of hours you have in a week? What expectations can you let go of in order to bring more peace into your homeschool planning?